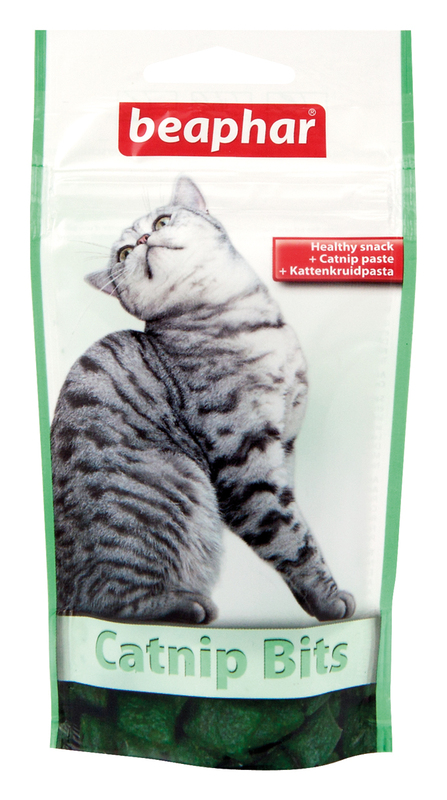 Catnip Bits from Beaphar are crispy little treats for cats which are filled with catnip paste. These yummy treats will keep your kitty coming back for more, they'll just love the appeal of the catnip paste inside. Grains, vegetable by-products, oils and fats, milk and dairy products, yeasts, meat and animal by-products. Feed your cat 5 - 10 Catnip Bits per day. There are currently no questions for Beaphar Catnip Bits Cat Treats - be the first to ask one!